Membership Packages will be available soon! Includes: 25 hours per month access to all rental spaces at the Kreative House (Kitchen, Rek Room, Living Room and Theatre). Includes: 20 hours per month access to all rental spaces at the Kreative House (Kitchen, Rek Room, Living Room and Theatre). 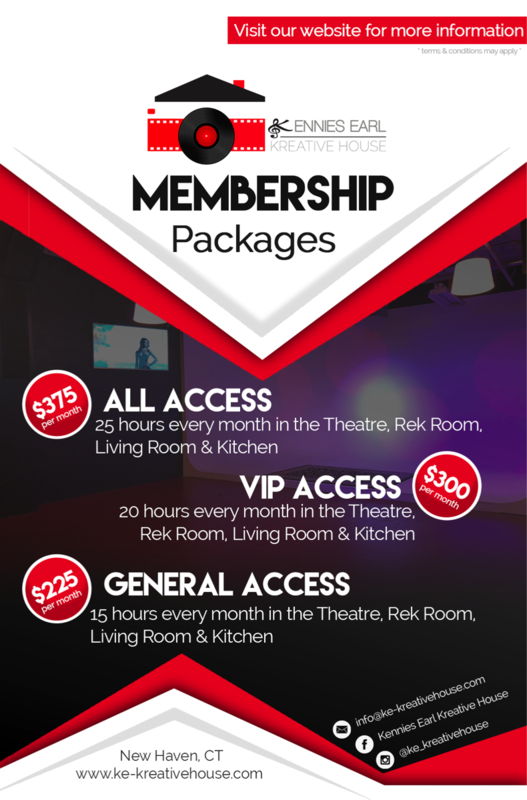 Includes: 15 hours per month access to all rental spaces at the Kreative House (Kitchen, Rek Room, Living Room and Theatre).